Nipsey Hussle has been on a roll lately, turning in collaborations with Young Thug, Mozzy, and YG over the last few months, sounding more inspired than ever. 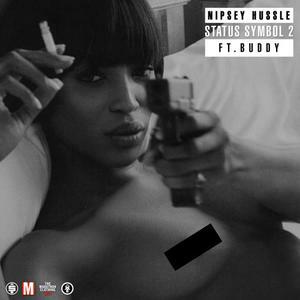 Today, he’s delivered “Status Symbol 2,” a sequel to his 2014 collab with Buddy, who returns this time around, breaking his recent silence with a memorable hook. The shape-shifting instrumental for Mike & Keys, DJ Khalil, Mars and Tariq Beats (with additional production from 1500orNothin) is typically show-stopping, seeing as Nip has always had a good ear for beats, often immersing himself at the center of arrangements with many moving parts, and anchoring his records with his stoic delivery. This surely won’t be the last we hear from him in the next little while.